WASHINGTON, D.C. – The head of U.S. forces in the Pacific has not received any official word from Manila to change its defense relationship with the Philippines – despite months of statements to the contrary from firebrand President Rodrigo Duterte. 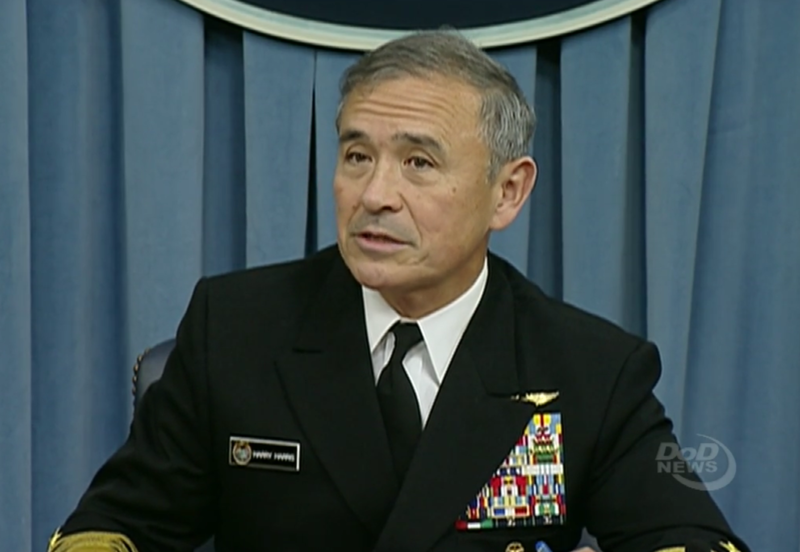 Adm. Harry Harris, commander of the U.S. Pacific Command, said even after Duterte used language like the Philippines was “breaking up with America” there were still no substantive changes to extensive bilateral defense agreements between the two countries. Starting in late September, Duterte began a weeks-long rhetorical storm in which he said his government would cancel future exercises with the U.S. and then continued to hint since he would cancel or renegotiate existing defense agreements. “What I’ve seen is some statements that are, I’ll be frank, are concerning to us, to me, coming from the new president in the Philippines,” Harris said on Tuesday at the Defense One event. In 2014, Manila and Washington signed an extensive Enhanced Defense Cooperation Agreement (EDCA) that allowed for U.S. use of five military bases on the island nation. In particular, the U.S. has launched maritime air patrols from the former Clark U.S. Air Force Base in the country that – in part – are designed to keep an eye on China’s operations in the South China Sea. Closer military ties with the U.S. were part of the previous president Benigno S. Aquino III’s strategy to hedge against China’s expansion in the region. The U.S. also has an ongoing special operations mission in the southern part of the country as part of an assistance operation against Islamic extremists. 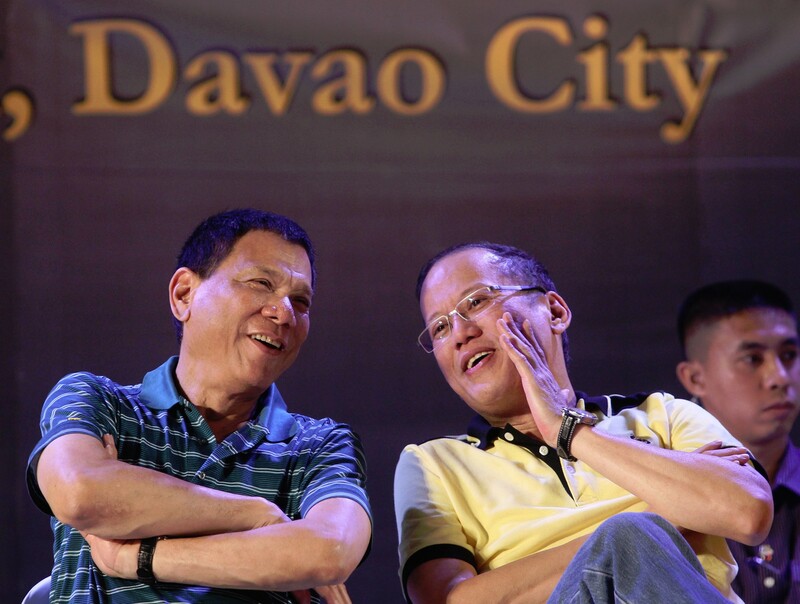 Former Philippine President Benigno S. Aquino III converses with then Davao City Vice Mayor Rodrigo Duterte in 2013. “EDCA is on track. Our exercise program, so far, remains on track. We haven’t been asked to remove U.S. forces from the Philippines, including special operations forces operating in Mindano,” Harris said. 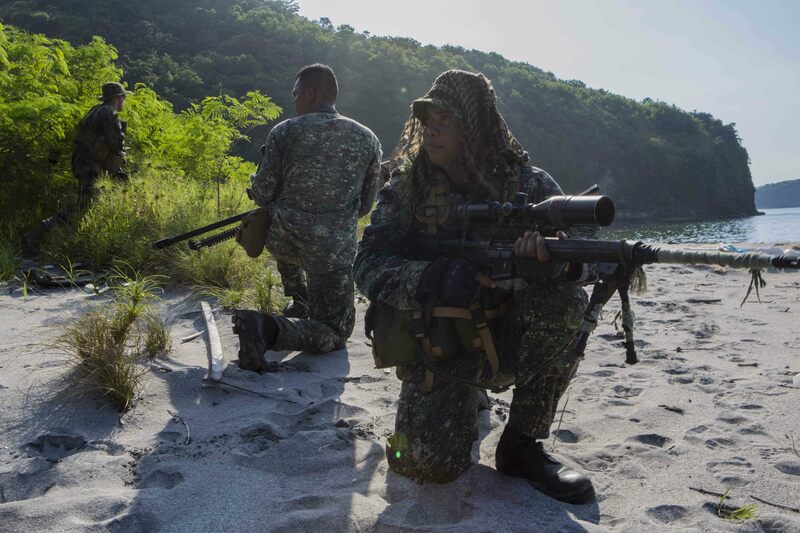 In addition, the U.S. is investing millions into a maritime awareness capability to allow the much less capable Philippine military a better understanding of their territory. Harris is set to travel to the country next week to talk through the next round of bilateral training. “I would expect a refocusing or rescoping of some of the big exercises in 2017,” he said. Beyond the Philippines, Harris offered reassurances to regional allies that the U.S. would remain focused on the Western Pacific when the Trump administration took charge in January. “The Indo-Asia-Pacific is as important to America as it ever has been. America is a Pacific nation and Pacific power,” he said. On the campaign trail, President-elect Donald Trump called into question the bilateral defense agreement the U.S. had with Japan and over simplified Japan’s obligation to defend U.S. assets in the event of an attack. (Japan and the U.S. amended their defense cooperation guidelines in 2015 to allow for Japanese Self Defense Force assets to defend American forces under attack, “as appropriate.”) Trump has also complained of the expense of maintaining U.S. bases overseas. Since the election, a source familiar with Trump’s national security direction told USNI News last week the new administration is committed to the Western Pacific and will continue a military rebalance to the Pacific “with teeth,” in part with an expanded U.S. Navy — a key plank in Trump’s stated national security policy. Additionally, the source said a Trump administration might ask to renegotiate the terms of foreign U.S. military bases to have the host countries potentially pay more for upkeep but isn’t interested in pulling out of Japan or South Korea. An important indicator of the Trump team’s path forward in the region will be tied to the outcome of a Thursday meeting between the president-elect and Japanese Prime Minister Shinzo Abe in New York. America’s alliance with Japan is the “linchpin of our national security, diplomacy and economy,” Abe told the National Diet on Monday ahead of the trip to New York, according to The Japan Times.